We don’t need any expert to tell us that our child has certain strengths, and other areas which need some work in order to become practically functional. What we don’t necessarily comprehend without deliberate thought, is how those strengths or aptitudes influence our child’s engagement with learning. Gardner used specific criteria in order to establish initially seven intelligences, and later eight, although nine intelligences are now commonly spoken of in current use. One of the more interesting aspects of Gardner’s research, to my mind at least, involved patients suffering brain damage. The extent to which a specific ability is destroyed or spared as a result of brain damage, as with stroke patients, provides considerable information about the basic nature of abilities. This neuro-psychological evidence indicates that one intelligence can be isolated from others at the basic brain level. An example of this compares human language and human singing. Singing and speaking are apparently similar faculties, and yet they are different faculties that can be independently damaged or spared. 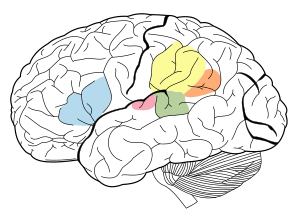 The parts of the brain that subserve spoken language in hearing people are (roughly speaking) the same parts that subserve sign language in deaf people. This underlying linguistic faculty cuts across sensory and motor modalities. Sensitivity to the meaning of words, grammar rules and the function of language as in writing an essay. Ability to hear tones, rhythms and musical patterns, pitch and timbre, as in composing a symphony. Ability to see relationships between objects and solve problems, as in calculus and engineering. Ability to perceive and mimic objects in different forms or contexts, as in miming or impressionist painting. Using the body, perceptual and motor systems in the brain to solve a problem, as in catching a ball. Ability to understand and define inner feelings, as in poetry and therapy. Sensitivity to the actions, moods and feelings of others, as in teaching, parenting and politicking. Ability to recognize and categorize plants, animals and other objects in nature. Birmingham Grid for Learning – test can be taken in either text or audio form. Does not include Existentialist option. SurfAquariam – printable test of all nine intelligences, but not in the order listed above. Order is revealed at the very bottom of the page. Quizfarm – The Rogers Indicator of Multiple Intelligences. Only covers eight options. This fabulous quote is in every way equally applicable to home education, and in fact echoes the thoughts of a great many home educators. As you explore this area of Multiple Intelligences and proceed with home educating your child, don’t shy away from resourcing the child’s strengths for fear that they won’t end up with a ‘balanced’ education – it does lead somewhere. That Somewhere isn’t necessarily predictable, but it is worth the journey. As your child pursues what they are genuinely interested in, in a way that is meaningful to them, they will gain balance along the way. Dictionary.com listing of ‘aptitude‘, World English Dictionary defintion. Multiple Intelligences Institute, white paper: Multiple Intelligences Basics p7. Casa Canada, Children’s Corner, Multiple Intelligences: What Are the Seven Learning Styles?